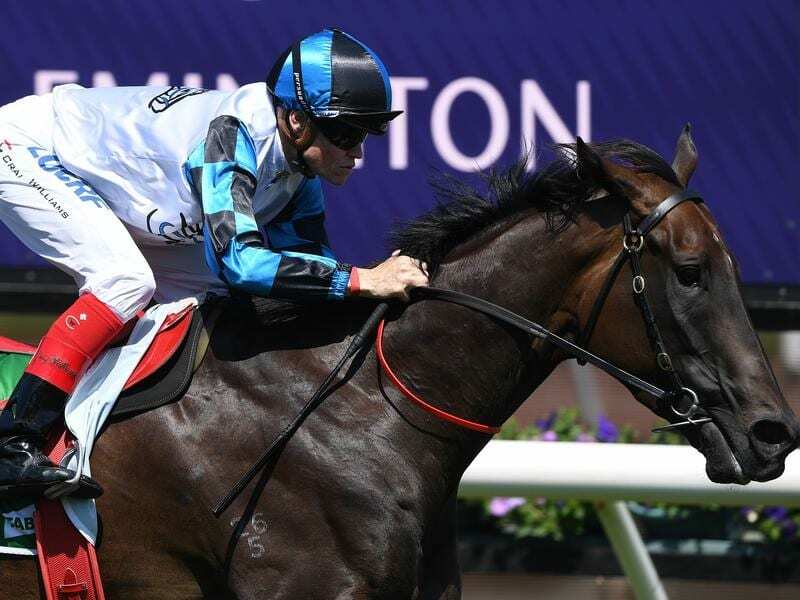 Lindsay Park senior trainer David Hayes is looking forward to the month ahead with stable newcomer Amphitrite following a first-up win in The Vanity at Flemington. A Group One winner of the Thousand Guineas for Darren Weir last spring, Amphitrite made her way to Lindsay Park after her former trainer’s four-year disqualification last week. Hayes is eyeing two 1600m races at Flemington with the three-year-old. Next step is the Group One Australian Guineas on March 2 ahead of the inaugural All-Star Mile two weeks later. Amphitrite moved to $5 second favourite behind Mystic Journey ($4.60) in the Australian Guineas and to an $8 equal third favourite for the All Star Mile after Saturday’s success. Ridden by Craig Williams, Amphitrite ($3.90) scored by a length from another former Weir-trained galloper Verry Elleegant ($7) with $3.40 favourite Fundamentalist a long-head away third. “We’ve only had her 11 days and she arrived in great order from the Darren Weir stable and luckily we’ve been able to hold her form,” Hayes said. Hayes said he did a “little tap dance” when he learned Amphitrite was heading to Lindsay Park. “She’s a progressive filly and exciting to get as it’s all ahead of her,” Hayes said. “With some Group One winners you get they may be past their best.